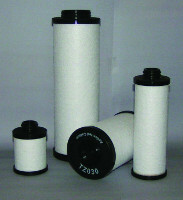 Activated carbon filter for the elimination of oil vapours and odour. 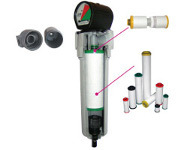 When installed, after a 0,01 micron grade filter, it lowers the maximum contents of residual oil 0,003 mg/m³. Used in the pharmaceutical industry, for dental applications, in photographic workshops, packaging and galvanic treatments.